This year’s Christmas was a fruitful one. 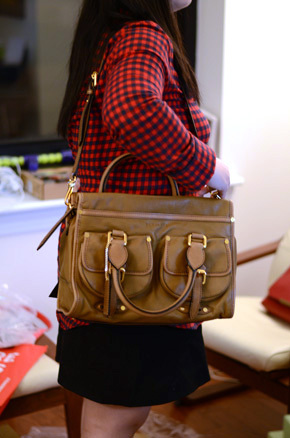 I got a ton of gifts I love, including a bag I’ve longed after for months — the Madewell Transport Tote in English Saddle. 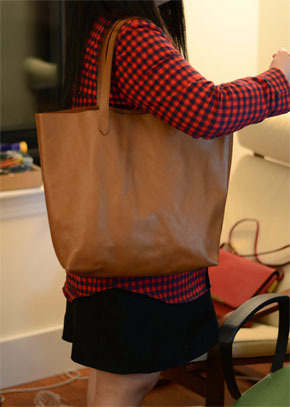 If you somehow haven’t heard of or seen this tote, just Google it and you’ll see an endless number of fashion bloggers modeling & loving it. 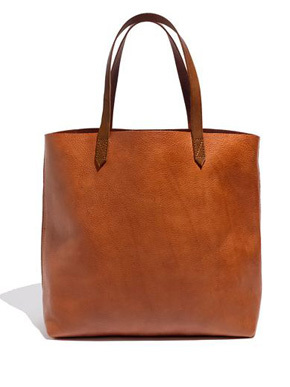 Lucky Magazine even referred to it as “the Madewell tote that’s taking over the world.” 197 4.5 star reviews on Madewell and only $168 — definitely seemed like a no-brainer. However, when I opened the box and pulled out this bag, I wish I had read these reviews sorted from lowest to highest rating and seen all the complaints. The leather was light and seemed chalky, super stiff, and thin. There were a ton of stress marks on it that, combined with the light color of the bag, actually reminded me of human stretch marks. Gross, I know. I couldn’t get over it. Back it went. I mean, seriously. 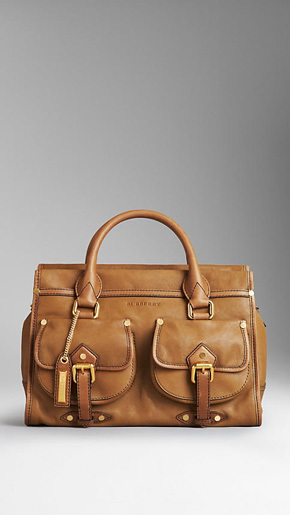 I thought to myself, whatever price I have to pay for this exact bag, I will pay it. To my great surprise, I clicked through to the product page and saw it was only $150! 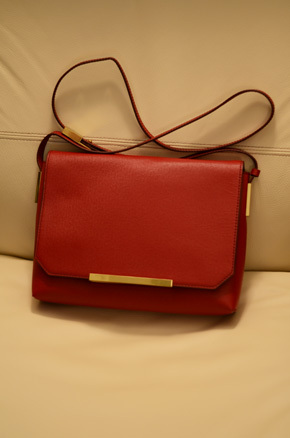 I also read Cuyana’s story and mission, and thought to myself, this is what I need — hand-crafted quality from a boutique seller, not mass-produced bags from a big chain like Madewell. 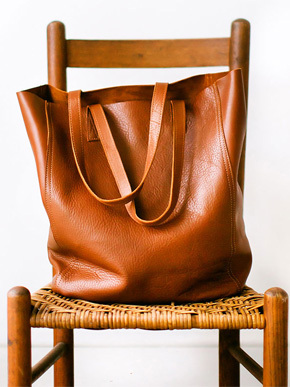 I was slightly concerned that the product page image of this bag didn’t look like it was the same leather, but I convinced myself it was just the photo. 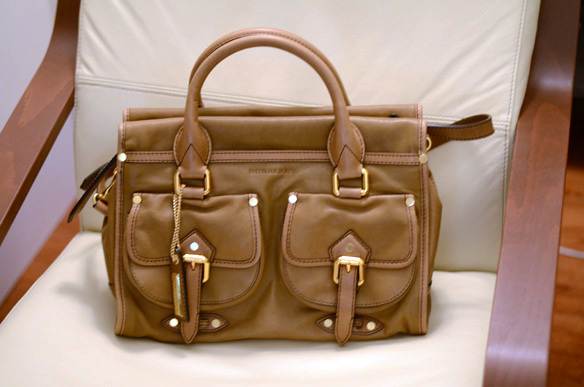 Well, when I pulled the bag out of the box, I was immediately hit with two things: 1) the leather is incredibly, incredibly soft and pebbly. It was puddly and smelled amazing. 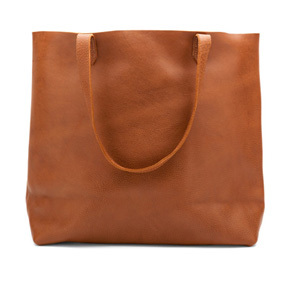 Very different from the Madewell bag, which could stand on its own. This one definitely couldn’t. 2) The color was nothing like the product page image, and definitely nothing like the homepage photo I first posted. 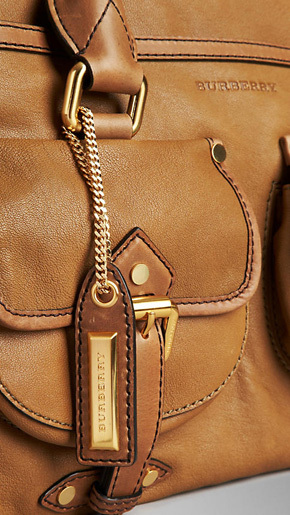 In fact, the leather was completely different — it wasn’t textured and thick, it was consistently pebbly smooth across the entire bag. I was disappointed. It’s a nice, minimalist bag that’d be perfect for someone, but I bought it for the color & leather combo and it wasn’t there. I tried to capture it in my photos, but essentially, it was a light brown — almost like Hermes Etoupe but slightly more brown without many orange undertones if at all. 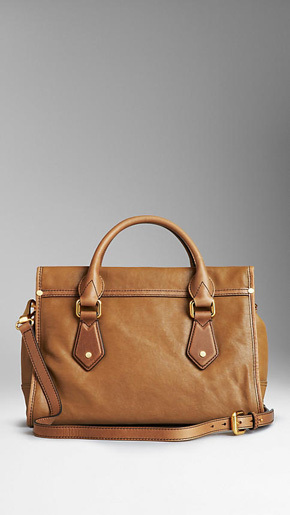 This is a great bag with great leather, and super practical. This is even a great color for someone who’s looking for brown or light brown, or light saddle colors, but unfortunately just not exactly what I was looking for. 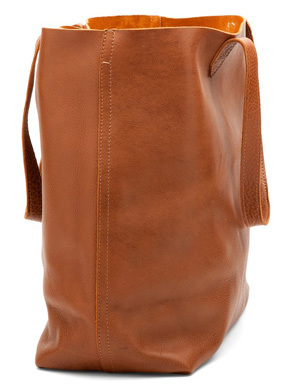 If this is your cup of tea, buy it here from Cuyana for $150. The color was a dull, greenish pale color. The gold hardware was pretty. The leather’s lambskin so it was very soft, albeit perhaps a bit fragile. 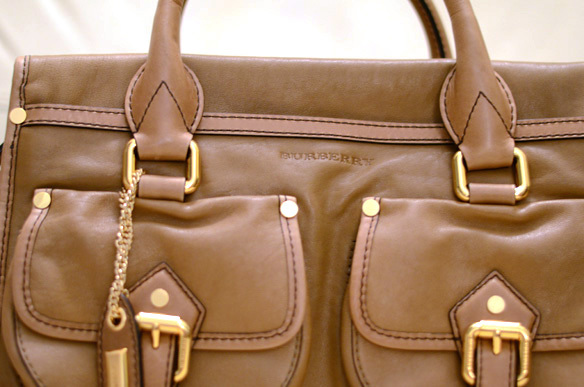 But…the color was gorgeous online, and it was so adorable with the bag’s style. The color in real life…not so much. Dull. 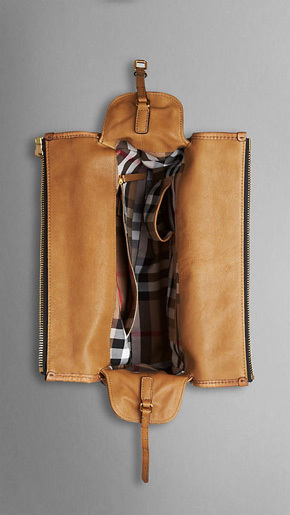 If this color jives well with you, you can still pick it up from Burberry.com here for just $775. 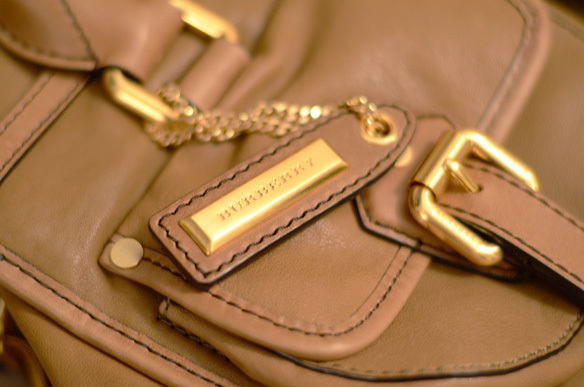 I’ve liked the styles of J.Crew’s bags for a while, but I was always uncertain of their quality, which puts me squarely on the fence given the usual high price tags. When I saw this look in J.Crew’s November catalog, however, I fell in love. 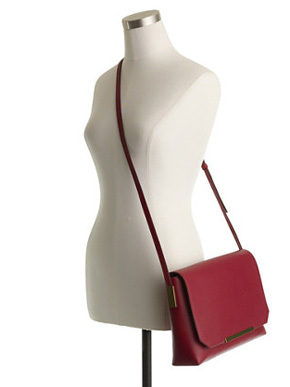 What great pops of deep, saturated red against a snow-white outfit. So pretty! I kept an eye on it, and voila now it’s on sale here for just $129, with extra 40% off sale, making it dirt cheap. When it arrived, I was pleasantly surprised that the color is equally as deep and saturated in person. 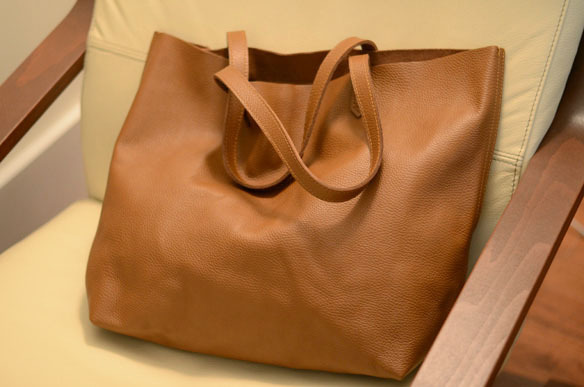 The leather is a bit stiff, not a soft supple leather, but I kind of like that on this bag. It gives it structure and makes me feel like it’s waterproof and relatively indestructible. I’d highly recommend this bag. 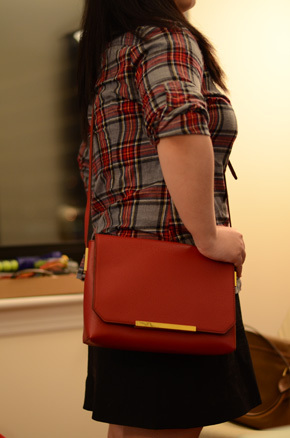 With all the plaid that’s trending these days, it echoes those pops of red perfectly. Buy it here from J.Crew.